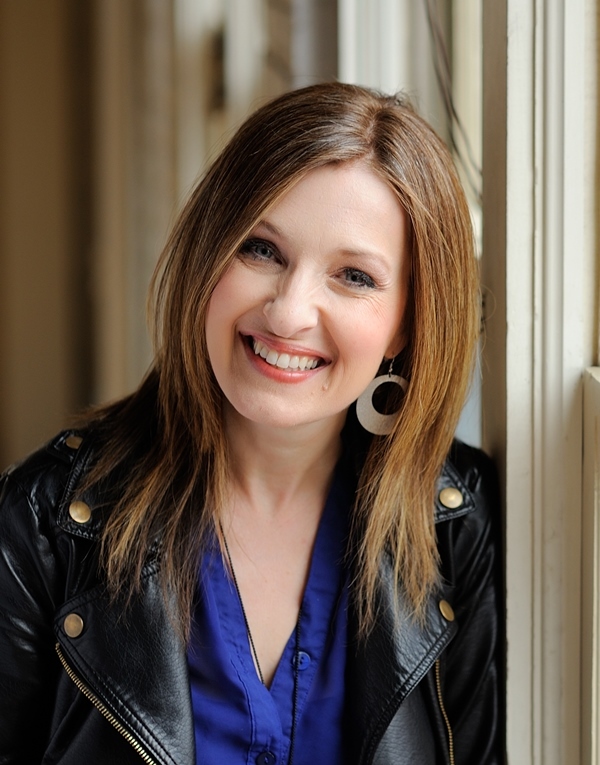 Audra Jennings: Are you facing any giants? Are you facing any giants? Q: Tell us about the biggest battlefield you’ve found yourself stepping upon. My biggest battlefield has definitely been my husband’s diagnosis with ALS (Lou Gehrig’s disease) in 2011. ALS has no known cause, no cure and a 2-5-year life expectancy. The process of dying is almost more difficult than the prognosis, as victims of ALS are slowly paralyzed until only their eyes and brains function. My husband and I had been married 27 years at the time of his diagnosis, and he had not known a single physical issue up until that time. It was a gut punch unlike any I have ever known. For two years now, we have gone to bed on the battlefield of ALS and woken up on the very same ground. Q: We all face battles, even daily battles, but do you believe everyone will face at least one major “Really Big Battle”? 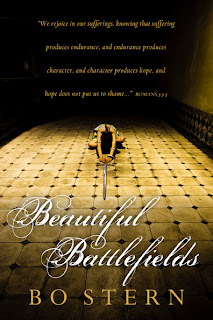 Q: Does God always bring beauty from the battle? Are we always able to see it, or do we sometimes just have to trust that something good will come of it, even if we can’t see it? Yes. Always. Always, always. And I believe trust plays a part in seeing it, but perspective plays a bigger part. When I can see my world and my war through His eternal lens, then I am able to see what He is accomplishing through my battle that could not have happened another way. Sometimes it’s a deeper dependence on Him. Sometimes it’s a more compassionate heart toward others who are hurting. Sometimes it’s a new credibility that comes to those who have suffered well and lived to tell the tale . . . but beauty always comes from battle. Now, some battles we create ourselves (like David created a battle with God when he slept with Bathsheba), so if we’ve sinned our way into a battle then we need to obey our way out. But even then He is still able to work all these things together — even our mistakes — for His great glory and our great joy if we submit to His leadership in our lives. Q: What is the one Bible verse that brings some level of comfort and peace to you? On the day of Steve’s first doctor visit, when we knew what we might be dealing with, we held hands on our couch and poured out our hearts and tears to Jesus. Our prayer that day was, “We are lashed to the altar of your purpose and we are not going anywhere. You can use us however you want and send us wherever you want.” We believe we’ve been sent to the ALS community to bring hope and strength, and we would never have been qualified to go otherwise. ALS looks like the biggest curse to all the rest of the world, but for us it has provided credentials to move into a place we never could have gone otherwise. This verse is plastered all over our walls in our house, on T-shirts, on posters and on the band I wear right next to my wedding ring to remind us: Something bigger is at work here. This battle is not going to defeat us, and it is going to save many lives. It will be beautiful. Q: You write about how you once thought love and trust go hand in hand, but you realized they don’t always. Why is it so difficult for us to trust? We can love a lot of pretty surface things. We can love how someone looks or how funny they are or how they dress, but trust moves beyond skin-deep and into character. I think it’s hard for us to trust God because most of us have such a shallow understanding of His character, so we generally determine how trustworthy He is by how well our lives are going at any given time. But His character is unchanged and unchallenged by our circumstances. And when we really know who He is, He’s easy to trust. People have sometimes asked me why He heals some people but not others. My answer is: I don’t know. I’ve studied and thought and prayed . . . and I still haven’t figured it all out. But when I’m faced with something I don’t know about His nature or His decisions, I build on what I do know about Him. I know He is good. I know He loves me. I know He will not be in debt to me. And what I do know about Him is enough for me to stay steady in the storms that are caused by what I don’t know. I trust His character. He’s proven Himself to me. Q: Who are some of the people from the Bible you use as illustrations? What can we learn from their battles? My inspiration for this book came the day I read about David’s victory over Goliath and I was thinking about how great David’s life must have been after that win, with all the pretty girls singing his praises. But then I read the verses right after that and realized the victory made Saul jealous, which caused him to send David out against the Philistines over and over again, hoping the Philistines would kill him. So frustrating — to imagine going out to fight the same enemy day after day. It’s totally unfair. But Saul’s plan backfired because all that time on the battlefield only served to make David stronger, more skilled and more famous. In fact, it prepared him to take Saul’s job. I think we’re conditioned to believe that battle is bad. But really, it can accomplish some very specific and wonderful things in our lives. Q: How does simply knowing God is in control make our battles a little easier? It makes my to-do list a lot shorter. For instance, in the beginning of our fight I felt horribly inadequate to provide for my family, put kids through college, pay for weddings — even just keeping a roof over our heads seemed overwhelming. I distinctly remember the day He spoke to me and said, “I’ve already been to every minute of your battle. I’ve gone before you, and I’ve placed provision where you’ll need it. You won’t see it now, but it will be there when you need it.” It’s good that He’s in control because He’s already been to the future and back. He knows what I’ll need in a way I cannot, and He is on the job so I can sleep well at night. Q: Is there some way we can remind ourselves God is in control? When you’re in a fierce fight, it can feel like you’re losing everything — like everything is spinning wildly out of control. In my case, my husband losing his health does impact many areas, but it helped for me to sit down and make a list of the things I still possess and the things that can never been taken. I have an eternal inheritance. I have life and joy and peace. I have the comfort of the Holy Spirit. I have an army of friends who love me. The list ended up flowing onto two pages, and I read it every time I felt frantic or afraid — sometimes ten times a day in the beginning until it was pretty much embedded in my thinking. The other thing that has helped so much is a fierce reliance on His Word. Sometimes I can only read one verse over and over through tears, but that verse is living and active and reminds me He is at work in all of this. Q: You write about facing our giants and how we sometimes magnify our battles, making our giants bigger than they really are. How can we redirect our thinking to see our battles as God sees them? If we measure our giants next to ourselves, then we’re always going to be in trouble. Most giants are bigger than me. Bad hair days are bigger than me. But no giant is bigger than God, so I don’t need to be afraid of them and I can know that He holds my whole battlefield — including all the bad guys — in the palm of His hand. If I am walking in His will, then when the enemy picks a fight with me, he picks a fight with the God who has promised to defend me. Psalm 81 tells me His enemies cringe before Him, so I know I’m in good hands staying in His shadow while He fights for me. Q: Not only are you in the midst of your own Really Big Battle, you have had to confront many smaller battles tied to your husband’s ALS. Could you share how you are able to endure each of those challenges while facing your biggest giant? I’m learning to do the things only I can do and let the incredible friends and family in my life help with the rest. My husband needs me, my kids need me, but Costco doesn’t need me — so my friends brave Costco for me and help with stuff around our house, which frees me up to focus on the stuff that really matters. I’ve had to get good at asking for help and receiving it with joy. Part of the way God helps us in long battle seasons is by giving us an army to fight and stand with us. I’d be in big trouble without mine. Q: Do you have any advice for people who cannot see past the battle they are facing at the moment? Don’t get isolated. I have a group of about a half dozen women in my life whom I can call at any time and they will be there. They will answer. They will love me. They won’t preach or judge, but they also won’t let me just sit in a ditch of discouragement without offering me a lifeline out. They remind me of the bigger picture, and they help me refocus on the things that are secure. I also empowered these women in the beginning of our fight to raise a flag if they ever heard me getting bitter or angry at people or at God. They have. They have lovingly confronted me when they think I’m getting stuck in a mindset that will keep me from joy. Q: What are some of the strategies you share for growing stronger through every battle? One of the most surprising strategies is generosity. Whenever we’re faced with a Really Big Battle, I think our immediate tendency is to get very protective of our resources. We guard our time, our treasure and our trust and try to keep it from being stolen. But Isaiah 30 says, “The generous man devises generous things and by generosity he stands.” It doesn’t say the wealthy man devises generous thing; it says the generous man. So we determined early on to be intentionally generous with our money, our approval, our time, our energy, and it has made life very fun for us. When you feel like some big, bad enemy is trying to take things from you, it’s so freeing to spread open your arms and be willing to give stuff away. And we didn’t move to a new level of generosity so God would bless us, but He has. Over and over and over again. And it makes us feel like we’re winning. Another strategy in the book is pray, listen, obey. The battles in the Bible prove there is no stock formula for a sure win — sometimes they march around walls, sometimes they sneak around the back, sometimes they send the worshipers in first — but those strategies were all formed first in the place of prayer and obedience. It’s a winning formula every time. Q: What is the best way to show your support to a friend in the middle of a battle? I think this depends on your level of friendship. If you don’t know that friend well, then a note of encouragement or a very simple, “I just want you to know I’m praying,” is good. Anything beyond that runs the risk of being suffocating. But if it’s a deeper friend, then it’s good to put some muscle into your love and do something. People have blessed Steve and I with date nights, with meals, with housecleaning — all sorts of practical things that have made our fight so much easier because we know we’re not alone. I have a couple of friends who are my official 24/7 friends. I know I can call any time I feel like I’m falling apart. Just being there in a tangible way is a beautiful thing for someone in a big battle. Connect with Bo Stern online at www.bostern.com, or via Facebook (www.facebook.com/beautifulbattlefields) and Twitter (@bostern). Are you being called to be a defender? What is it about Smithville? A Noble Groom Kindle Fire Giveaway! When life knocks you down... Get back up! A good book and cupcakes for a year... WIN-WIN!